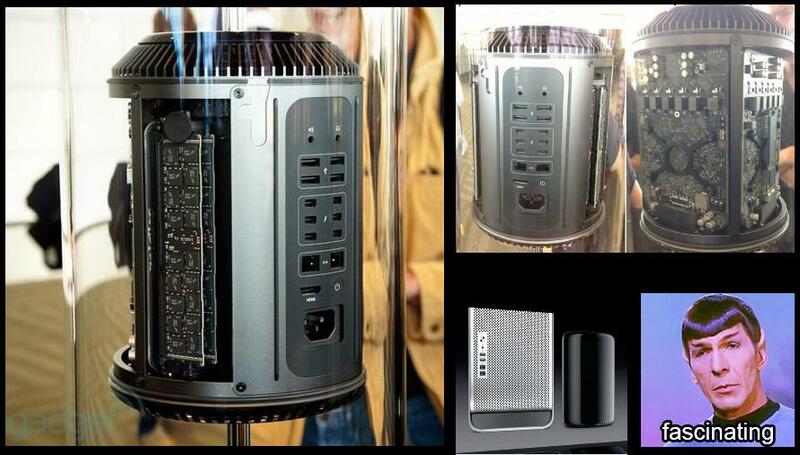 The long awaited new Mac Pro was unveiled today by Apple CEO Tim Cook at the Worldwide Developers Conference in San Francisco . Every professional user in music, film, photography and the visual arts was anticipating this long overdue refresh. It is an absolutely stunning small cylinder. The machine is 1/8th the size of the current Mac Pro tower and has 6 Thunderbolt ports and PCIe flash storage. It looks like it cold fit in a suitcase. It looks like mini R2-D2. We are all holding our fingers on street price. I can’t wait to see what this thing can do.